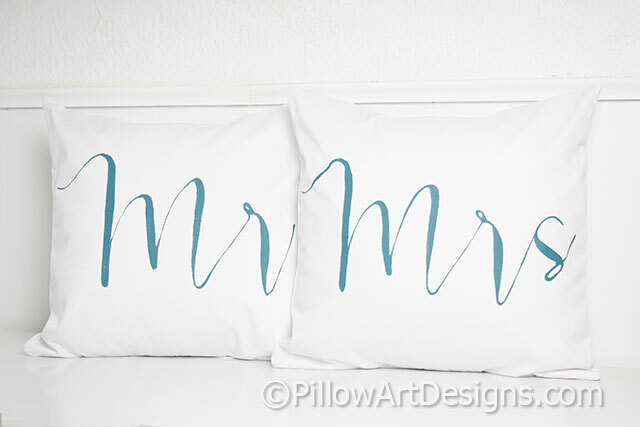 Couples Mr and Mrs pillow covers with mini name and date pillow, hand painted in modern calligraphy font. Mr and Mrs covers made to fit 16 X 16 inch pillow inserts (not included), small name and date pillow measures 9 X 13 inches and comes stuffed with hi loft polyester fiberfill, no need for an insert. Outer fabric is white cotton twill, all pieces come fully lined with white cotton polyester. 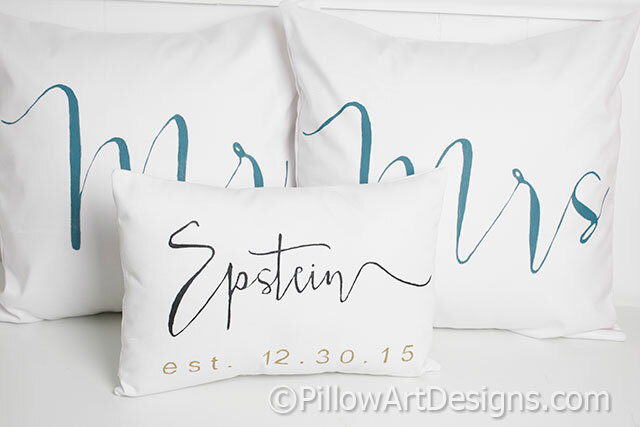 To order, simply purchase this listing and remember to send me the name and the date for the front of the mini pillow. Indicate your preferred paint colour during checkout process. 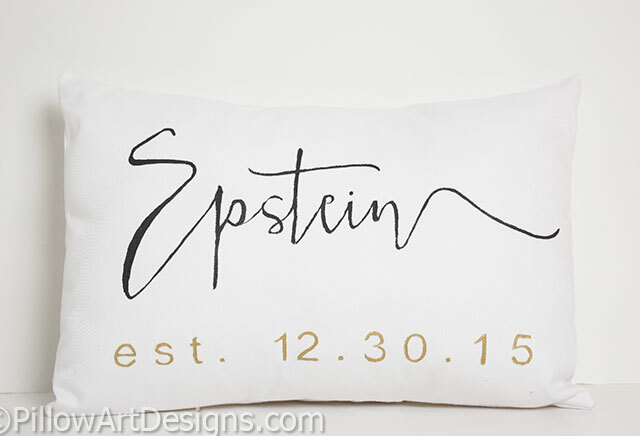 Note: paint colour choice refers to Mr and Mrs pillow covers, small name pillow is painted in black with metallic gold date in numeric format as shown. Please allow me one week to complete your order, depending on my workload at time of your order. Contact me here with any questions or special requirements.